Controls - Heating There are 24 products. 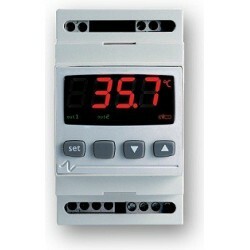 Temperature Controls for Heating Applications. We have a range of Controllers that accept PT100, J/K Type, 4-20mA, 0-10V inputs as well as other input types. 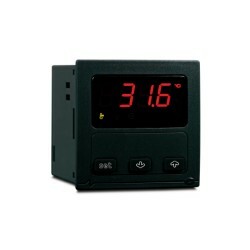 The LAE LTR-5CSRE is a 230VAC digital temperature controller with a LED display and is capable of controlling refrigeration and heating applications. 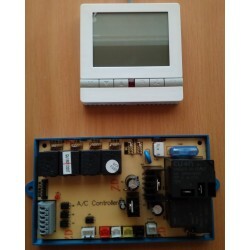 Supplied with 1 x 2m NTC temperature probe. The EVCO EV6412M7 is a 230VAC DIN Rail mounted digital temperature controller, that accepts 0-10V, 4-20mA, PT100, PT1000, J/K Type Thermocouple Inputs with a LED display and is capable of heating, humidity and cooling applications. The EVCO EV6421M5 is a 115VAC DIN Rail mounted digital temperature controller, that accepts 0-10V, 4-20mA, PT100, PT1000, J/K Type Thermocouple Inputs with a LED display and is capable of heating and cooling applications. 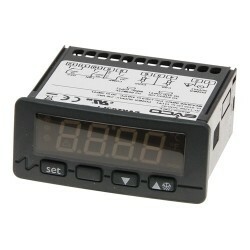 The EVCO EVK411M7 is a 230VAC digital temperature controller with a LED display and is capable of controlling high and low temperature applications. The controller accepts most types of probes available (configurable) and has one relay output. The probe is not supplied with the controller. 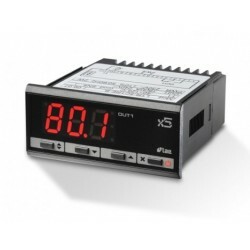 The EVCO EVK411M2 is a 12VAC/DC digital temperature controller with a LED display and is capable of controlling high and low temperature applications. The controller accepts most types of probes available (configurable) and has one relay output. The probe is not supplied with the controller. 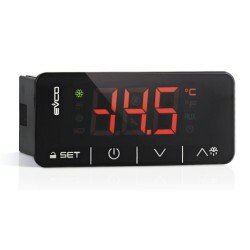 The EVCO EVK412M7 is a 230VAC digital temperature controller with a LED display and is capable of controlling high and low temperature applications. The controller accepts most types of probes available (configurable) and has two relay outputs. The probe is not supplied with the controller.